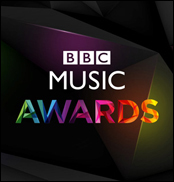 LONDON (VIP-NEWS) — The BBC Music Awards will be televised in Denmark, Japan and Ireland, as well as North America and the UK. Taking place on Thursday, December 11 at London`s Earl`s Court, broadcasters DR in Denmark and Space Shower in Japan will air the show next year. Via the Viacom owned music channel, Palladia, the event will be screened live and free from adverts in the US on the day at 3pm ET. In the UK, it will start at 8pm on BBC One, Radio 1, Radio 2 and RTE 2 in Ireland. Existing to celebrate the best in popular music from around the world in 2014, the two hour ceremony will be hosted by BBC personalities Chris Evans and Fearne Cotton. Announced yesterday, Ed Sheeran and Sam Smith will battle it out for British Artist Of The Year, alongside David Bowie, Elbow, Jungle and Royal Blood. Nominees for the International Artist Of The Year are: Dolly Parton, Gregory Porter, Lorde, Pharrell, Prince and Taylor Swift. Performances will come from One Direction, Coldplay, Ed Sheeran, Ellie Goulding, Will.i.am, Clean Bandit, Calvin Harris, John Newman, Gregory Porter, George Ezra, Paloma Faith, Sir Tom Jones, Labrinth, Ella Henderson and Take That – with a selection of artists to be accompanied by the BBC Concert Orchestra. Salim Mukaddam, director of music at BBC Worldwide, said: “We’re proud to be able to expand the reach of the first ever BBC Music Awards to a global audience. The likes of Calvin Harris, Coldplay, Ed Sheeran and One Direction have enhanced the UK’s position as a world leader in music creation and performance over the past twelve months.